Click here to find out the winner! 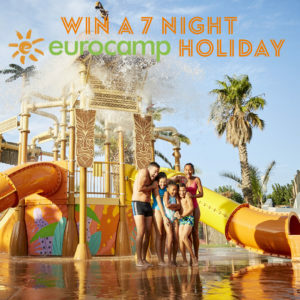 We have teamed up with our friends at Eurocamp to offer you the chance to Win a Fantastic 7 night holiday, for 2 adults and up to 4 children, at the Eurocamp Parc of your choice, including your ferry transfer*! Competition closes at midnight on Monday 25th February 2019. Eurocamp offer some of the best baby and child friendly holidays on the market. You can read about our last Eurocamp Adventure here: “Picturesque, Peaceful, Playful, Perfect: Our Review of Les Ecureuils” or visit our Euro Campsites page to find out more. Entry is completely FREE. For your chance to win you must either be following us on Facebook or Instagram, and have liked and tagged a friend into one of our competition posts, we will be checking! Which of these types of #Eurocamper isn’t shown in the video? The closing date for entries is midnight on 25 February 2019. The prize is subject to Eurocamp Booking Terms and Conditions, which can be viewed at http://www.eurocamp.co.uk/terms or in the current copy of the Eurocamp brochure. We will draw one lucky winner at random. We will select and contact the winner during the week following the competition closure date and contact them via email. By entering the competition and submitting details the entrant is agreeing to be signed up to the Best Child Friendly Holidays and Eurocamp mailing lists. Entrant can unsubsribe at any time but unsubscribing before the competition close date will invalidate the entry. By entering the competition, the entrant consents to his/her name being published on bestchildfriendlyholidays.co.uk and Best Child Friendly Holidays Facebook and Instagram pages for the purposes of announcing the winner. We use Mailchimp as our marketing platform. By subscribing to our mailing list, you acknowledge that your information will be transferred to Mailchimp for processing. Learn more about Mailchimp’s privacy practices here. 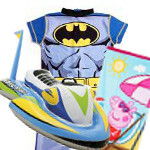 Don’t forget to visit us to find your Best Child Friendly Holiday. With Holidays from Jet2Holidays, Eurocamp, TUI, First Choice and More. We’ve Found your Best Child Friendly Holiday, All You Need to Do is Book! ← How will Brexit Affect My Holiday Plans?